In June and September your Humanist Nerd spoke at four different conferences. In this post, I’ll tell you about UA Europe, Congility, and TCUK. I’ll save a separate post for EuroIA. UA Europe has always struck me as different from other tech comm conferences in Europe. I’m not totally sure why, but the audience seems a bit different – perhaps with more of a traditional tech WRITING orientation. This is not to say that they aren’t interested in new aspects of tech comm practice, just that they may be more preoccupied with the specific writing aspects. This was confirmed for me when I noticed that a new DITA track that included some major presenters from DITA space was rather less well attended than the more traditional sessions. This was a shame, as the DITA presentations were valuable and informative, presented by very high level speakers. I went back and forth between the tracks, and found a consistent, high level of presentation everwhere. My own presentation was a condensation of ideas from some webinars I did for Adobe TechComm central. The focus was how we tech comms need to use ideas from cognitive science to improve our user assistance. As usual in any condensation, there was a lot of good material left out, and the message became very dense and intense, but fortunately, people seemed to follow it anyway and appreciate. A highlight of the event was Tom Johnson’s keynote about findability. Our heritage as writers of manuals or help systems that were either closed systems or “appendages” to our products has not predisposed us to think of this subject, but findability is critical to on line user assistance, crowd sourced UA such as wikis, but also for devising good search strategies inside pdf’s or closed help systems. Tom tackled these ideas, the relationship between searching and browsing, and other related topics with aplomb, and the public was genuinely animated by his lively presentation of a subject some might assume to be dry or technical. Congility, at the end of the month, was a different sort of operation altogether. The conference name, “Congility,” is a contraction of “content agility,” and the orientation was on the breadth of the content industries, including marketing, web design, and technical communication, among others. This was one of the highest concentrations of forward-thinking thought leaders I’d seen in a long while, some of it genuinely bleeding edge, which always stimulates a lot of reflection and discussion. Some of the presentations were highly technical, others were more theoretical, and of course, some were oriented to current practice and how-to sessions. The mix was incredibly stimulating, and I only regret that some of us – myself included – had to leave before the final panel discussion on content development futures had reallty finished. I was a panelist, but more importantly, listening to my fellow panelists was so engrossing I almost left too late to catch my plane home! My presentation at Congility touched on the collaborative nature of content in today’s – and tomorrow’s – ecosystem, and how all of us are going to have to get used to the idea that we might not own our content, nor the overall content strategy, even if that’s our job. Few conferences in the tech comm space cover ideas of multidisciplinary content strategy so thoroughly as Congility does (Intelligent Content is another) and I hope the organizers will continue to favour this broad, forward-looking approach going forward. After a nice summer break, I found myself at the end of September attending two back-to-back events: TCUK and EuroIA. TCUK fits somewhere in between the two events I described above. It is firmly rooted in the technical communication world, while casting sure looks toward content strategy, training, and management domains. I presented on the black holes of knowledge that result from our fragmented, search-based learning paradigm (we go out to the web to find quick answeers to immediate problems). Often, we have advanced knowledge about something, without the fundamentals behind it. In user asssistance, we need to find strategies that fill in the gaps and give users mastery. This year, TCUK had a focus on managing technical communication teams, and many of the presentations of case studies and methodologies related directly or indirectly to that theme. Another subject that seemed to be recurrent in the presentations was culture: coordinating global teams across different languages and cultures, but also dealing with different, sometimes conflicting, internal corporate cultures – both topics dear to my heart. I found much of my own experience echoed here, and also learned a great deal, especially from Andrew Peck’s case study, where he outlined a project in which many of the intercultural assumptions about working with clients in the Middle East were swiftly overturned by a small, simple bit of user research. Eye-opening. Culture also played a major role in the presentations at EuroIA – not a tech comm conference at all, but a conference of information architects. More about that in my next post. 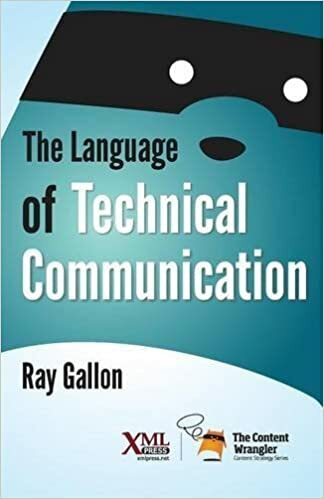 This entry was posted in Report and tagged Adobe, cognitive science, Congility, Content Strategy, DITA, EuroIA, future, Humanist Nerd, Ray Gallon, tcuk, Technical Communication, UA Europe, XML. Bookmark the permalink.